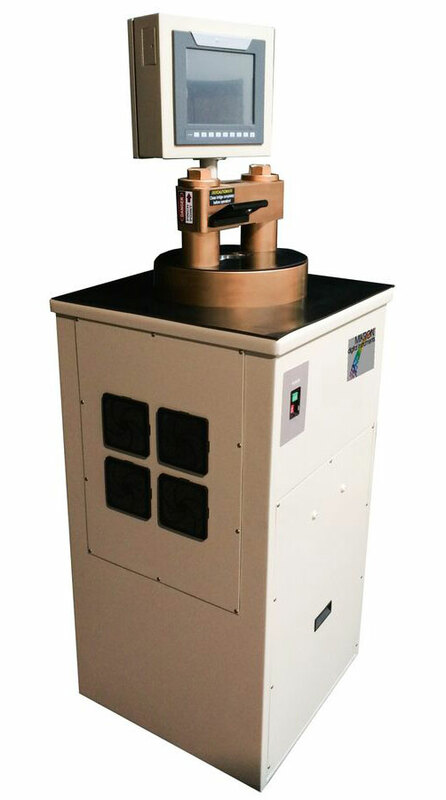 This Bench-top Programmable X-ray Sample Press is capable of up to 40 TONS of pressure capacity! 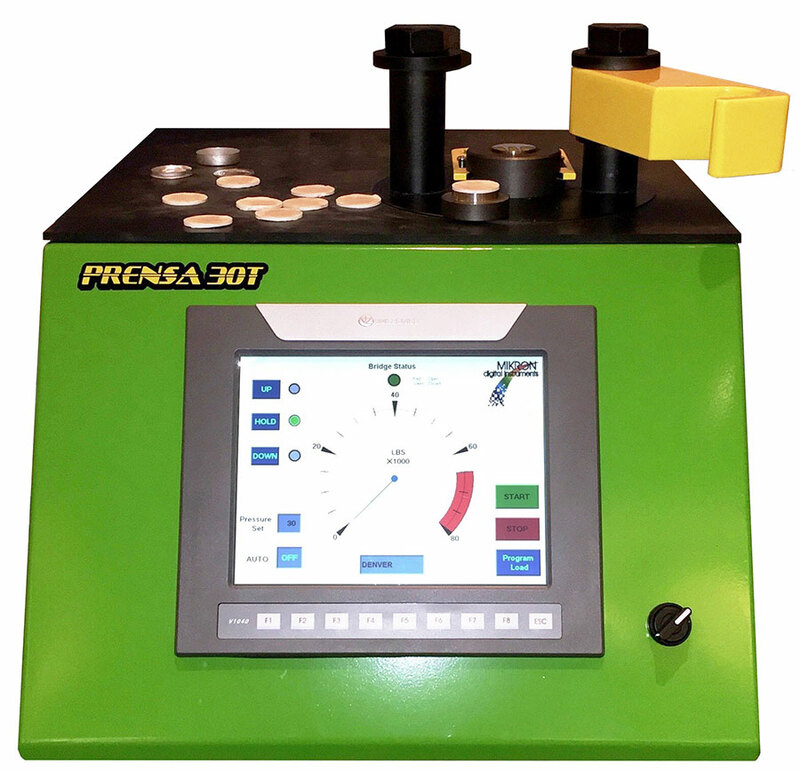 With a full color touch screen control interface and cutting edge features, the Prensa 30T raises the industry bar. Running on readily available single phase power, any standard wall outlet (20A circuit) can run this press. No need for expensive 3 Phase power! This revolutionary press weighs in at only 1/3 the weight of other presses and has a smaller footprint to match. The Maximus 40T is a reliable 40 ton automatic pellet press with manual override capability and a full color touch screen control panel. It is designed with over 90 years combined experience! It accepts press head parts from many manufacturers and offers simple serviceability. If you are looking for a reliable, powerful, and state-of-the-art press, the Maximus 40T is the answer.